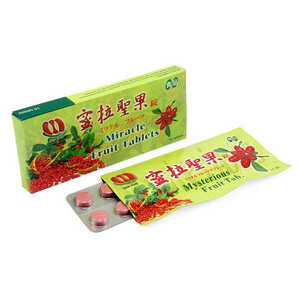 Miracle Berry: Turn sour tasting things into sweet! One of the most interesting things that we’ve recently come across during the recent Panaad Festival is the Miracle berry. 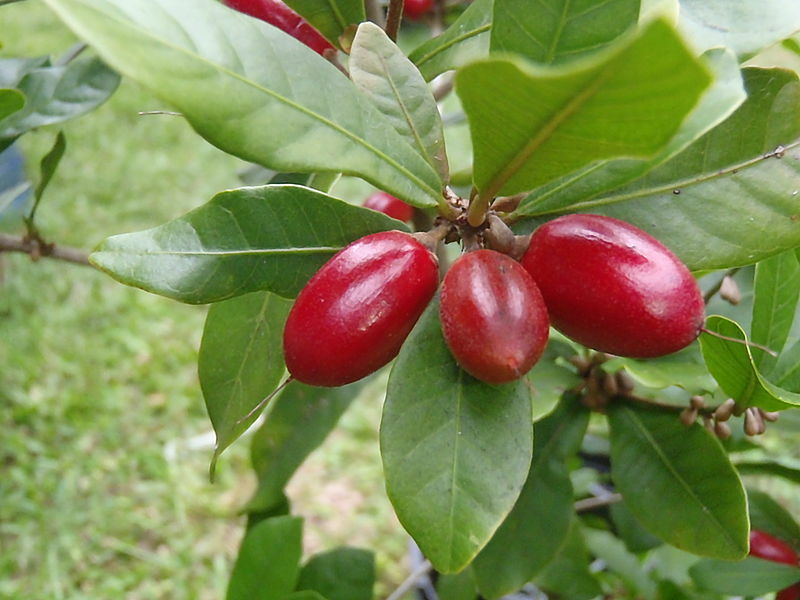 A Miracle berry is a very special fruit that when eaten, temporarily rewires your tastebuds. 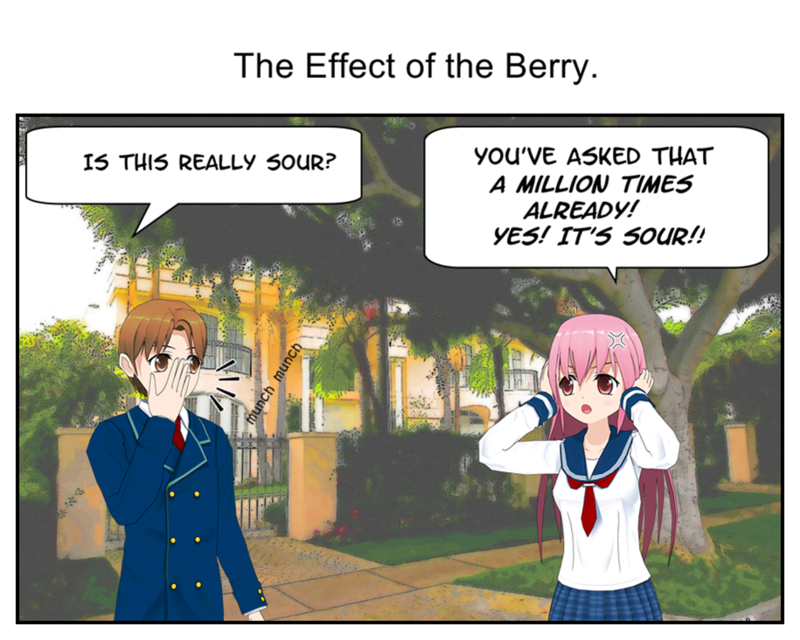 It makes sour things taste sweet. You can eat kalamansi or lemon juice or anything sour and acidic and it’ll taste like the finest lemonade or wine. This looks very fishy all right. Our plants had three berries growing on them. We chewed two berries. We passed by a stall selling pineapple on our way back to the car. We bought a bag of pineapple and tasted it. It was the best pineapple I’ve ever tasted! The juice was like liquid honey flowing down my throat. I couldn’t get enough of it. The other Bacolod Food Hunters who weren’t able to chew on a berry tasted the pineapple and told us that it was really sour. I couldn’t believe them! I kept asking for more pineapple and finished the whole bag. I was able to give the last of my berries to my good friend Chef David Lopez of Txacho. He reported that lemons tasted like lemon drops, vinegar tasted like sweet vinegar and he complained that the berry ruined the taste of his beer! I’m proud to report that my plant is doing fine and pretty soon there’ll be a lot of miracle berries soon! Its budding already! Lots of little buds forming! Soon there’ll be berries! Try it for yourself guys. A shrub with the berries costs about 450 pesos while a huge shrub is around 1450 pesos. Those berries cost 1 dollar each on ebay! We plan to hold a tasting party soon with the berries! For those not yet convinced, check out this video of a berry tasting party! Previous Post Cooking in Singapore: An Interview with Chef JP Anglo. This is some crazy berry, I still remember how the raw lemon tested like the sweetest candy……. Thanks Martin, good post. I started planting miracle berries last 2010 and I now have 200 trees. All fruit-bearing. I have decided to turn these greens into cash. If you know someone interested please pass may email nene28ems@gmail.com ..
By the way, I am from Laguna. 🙂 Thanks!